Summer is the time to get out and explore and experience new and different happenings. If you are a cat lover, then there’s plenty to do and see this summer, with events and festivals that highlight and revel in that most magnificent of animals, the felis catis. These events are as different and varied as the animals they celebrate. We recommend you try to catch one (or check local listings to see if there is one in your area). We’re sure you’ll have a grand time, meeting like-minded cat-loving humans and maybe even learning a thing or two about your favorite feline. Here are some upcoming cat events and festivals for the summer of 2018 that caught our eye. 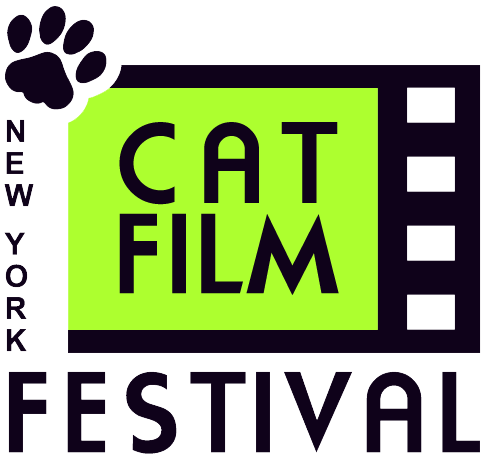 Founded by Tracie Hotchner, this festival, billed as the New York Cat Film Festival, has numerous destinations, including Morristown, NJ (July 22), Bloomington, IN (August 4), Cary, NC (September 12), and Berkeley, CA (September 14). The two films being shown are “Nobody Owns a Cat” and “Little Works of Art.” Proceeds benefit The Cat Connection and WINN Feline Foundation. 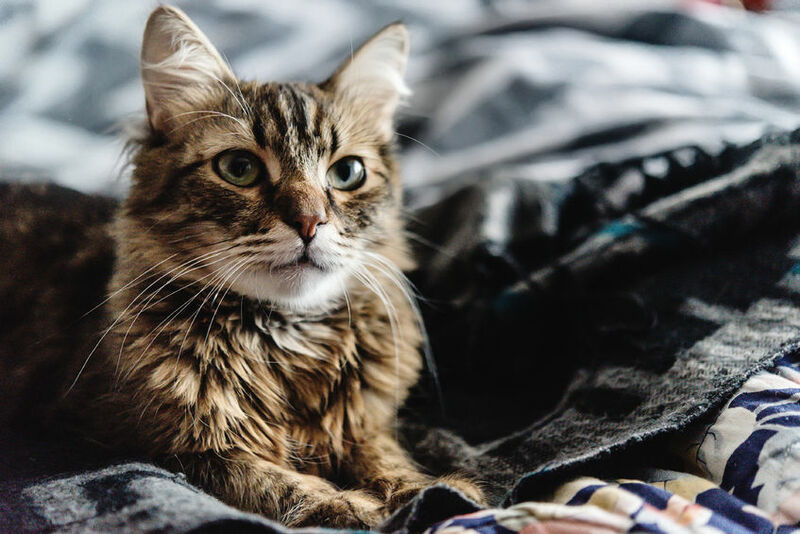 The largest cat convention in the Midwest, the Meow Meetup features a Cat Café where you can enjoy a cappuccino and hang out with adoptable cats from the Almost Home Foundation. You can visit the Kitty Yoga Studio and do a 45-minute session, also with adoptable cats. Other events include a Meow Mixer After Party where you can meet and have a cocktail with other cat people, Breakfast & Kitty Bingo, and a Feline Film Festival. New Jersey’s largest cat show and held at the New Jersey Convention & Exposition Center, this is the Cat Fancier’s Association’s primary fund raiser, supporting cats through local feline shelters. Goings-on include Meet the Breeds, a Family Cat Beauty Contest, a Feline Agility Competition, Ask the Vet, and much more. 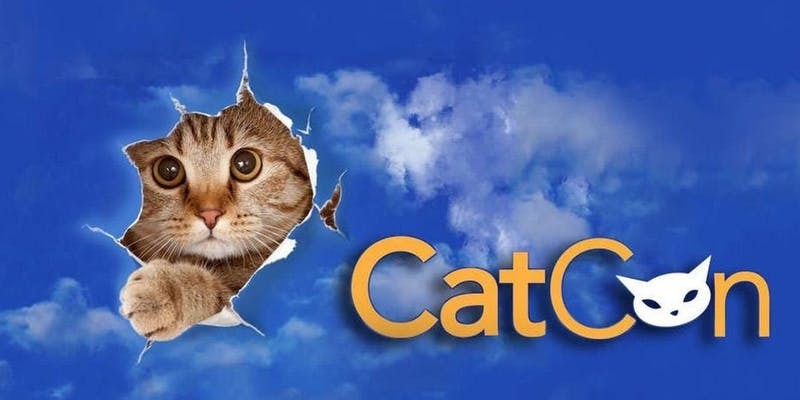 CatCon bills itself as “the biggest cat-centric pop culture experience in the world” with nearly 45,000 attendees showing up at past events. Held at the Pasadena Convention Center, this “all immersive” extravaganza showcases the latest and greatest human and feline talent, including New York Times-bestselling author Gwen Cooper, Moshow the Cat Rapper, Pudge the Cat and Two Crazy Cat Ladies, among many others. Adoptions are front and center, with the Pasadena Humane Society & SPCA offering adoptions at the CatCon Adoption Village. Be it seminars or meet-and-greets with cat-loving celebrities, education and entertainment are the hallmarks of this fun and informative happening. The motto of this festival is, “Everything is Better with Cats.” We agree! A nighttime outdoor event hosted at CHS Field, home field for the St. Paul Saints, its offerings include a hilarious collection of videos showing “cats being…well, cats.” Fireworks, music, food and beer round out the evening, making it one affair we surely don’t want to miss. Held at the Palmer Events Center, this two-day convention revels in all things feline. 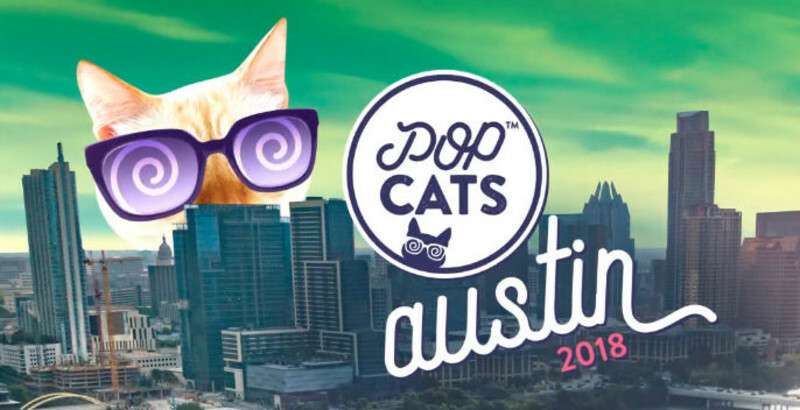 Cat-centric speakers as well as experts, artists and vendors from all around the world will be coming together to celebrate, praise and extol cats and the people who love them. Guests and presenters include Iammoshow the Cat Rapper (there’s more than one cat rapper?? ), Becky McFly (founder of Pussweek Magazine), and Dr. Katrina Breitreiter. The Austin Humane Society will also be on hand with adorable adoptable kittens. Do to the nature of some of these events, your cat might not be permitted to attend. If you’re thinking of heading out to any of them with your cat, be sure to check their websites to see if your cat is allowed. And, of course, if you need a place to stay, you can always find cat-friendly hotels on Petswelcome.com.